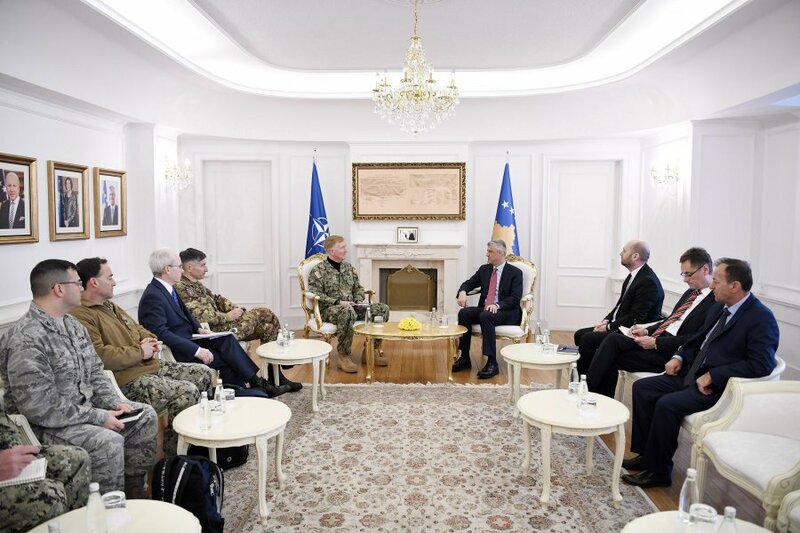 President of Kosovo, Hashim Thaci had a meeting today with the Admiral of the US Marine, James Gordon Foggo III, who also acts as Commander of the US Marine Forces in Europe. The head of the state told the American admiral that Kosovo is committed to peace and stability. “We’re working hard to continue dialogue as the only way to achieve peace and stability. We thank you for your commitment in preserving peace in Kosovo and the region”, Thaci said. Meanwhile, the meeting also discussed the transition of the Kosovo Security Force. The American admiral, James Gordon Foggo III, said that dialogue is the only way forward.